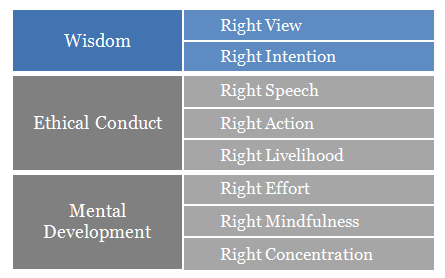 So here we are on the first part of our journey along the Noble Eightfold Path, laid out by the Buddha to guide us away from ignorance and suffering. In this first part, we will look at wisdom, what it means and how to attain it by practising Right View and Right Intention. What is wisdom exactly? Some would say it is like knowledge, but that wouldn’t be the complete meaning of real wisdom. There are plenty of people who are book smart, or have a lot of general knowledge or can make obscure cultural references, which are all very well, but true wisdom is a different kind of knowledge that you can only gain from experience. Unlike knowledge, wisdom is not a clear cut goal that you can reach by passing an exam. The real tests come from being able to overcome the obstacles that life throws at you. Being wise simply means knowing how to be. What to say or not say, what to do or not do and how to be true to yourself and do well unto others. Wisdom is the accumulation of humbling experiences that come from keeping an open mind and freely admitting when you are wrong. Wise people are not proud. They have plenty of dignity, but they are not proud in the way that most people are. They don’t need their egos boosting and they don’t feel the need to have recognition for every little thing they do. Zen teachers always tell their students, “If you think you are already wise, then you are not“. To become wise, firstly you have to obtain a little perspective on things. Right View is being able to see things for what they really are. This means having the insight to see what truly matters, and what does not. It means realising that everything is impermanent and that the world around us is in a constant state of flux. Stuff breaks, gets stolen or lost. People change their minds. Time moves on. If we insist on trying to keep things the same forever or if we hold on to an ideal or memory, one day when it will inevitably be gone, we will be unhappy. Instead, so we should enjoy these things while we can but we should also recognize that nothing lasts forever, so we shouldn’t become upset when it is gone. In minimalism, having the Right View is the first step in the right direction. You have to see things for what they’re really worth – which is usually nothing really at all, just a bit of money here and there doesn’t make something actually valuable. You have to realise that being happy is the most important thing in life, and simply possessing a bunch of stuff or qualifications won’t make you happy, so what’s the point in worrying about it all so much? The same goes for relationships that aren’t working or goals you’re holding onto just to impress other people with. You don’t have to prove yourself to anyone, yet we spend our whole lives striving to win points in life as if it’s one big game. Having the Right View shapes all of our other intentions and actions, so it is vital that people put their priorities straight. What are you working towards? What do you really want to do? What matters to you? Can you imagine what kind of world it would be if more people intended to leave things in a better state after they came than before they arrived? Every act of kindness, no matter how small, adds up. Just a smile or some kind words can improve someone’s day or week, or even save a life. You can make a difference. This is what minimalism is all about – resisting the pull of selfish desire for the greater good of ourselves and for others. If people just took a moment to breathe before they spoke or acted, then there would be much less anger and violence in the world. Holding a grudge or desire for revenge against somebody else is like holding a hot rock – painful and burdening, and yet people feel like this every single day. Extending our compassion for people who annoy us doesn’t mean we understand why they’re doing something, it means that we understand that they are only human, they make mistakes but they’re just doing their best to be happy. Every interaction we have with the Earth and other people should be with the intention of goodwill – to make the world a better place. If you want to make your mark on the world, let it be a positive one. Commit to this with your whole heart, and you will attract like-minded, kind and gracious people into your life. Everything slots into place if you have the right attitude, and true intentions. People who are truly wise can see things from a higher perspective. They know when to listen and when to speak. And they know when to act and when to let things go. But most importantly, they know how to be happy. Find me on twitter for daily doses of minimalist motivation, post updates and awesome links. 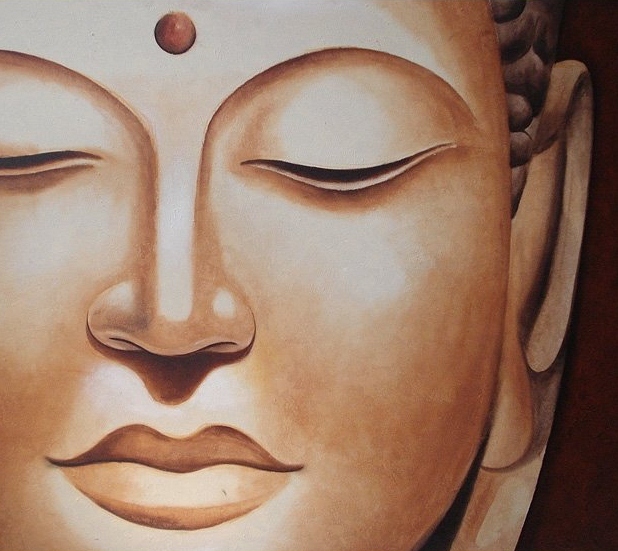 This entry was posted in Minimalism, Zen Buddhism on June 7 2012 by Jessica.